This plaid shirt is mostly grey with blue and yellow accents. The emphasis is on the vertical stripes. It does up with buttons. Unlike most of Sam’s shirts, it is not western-style. 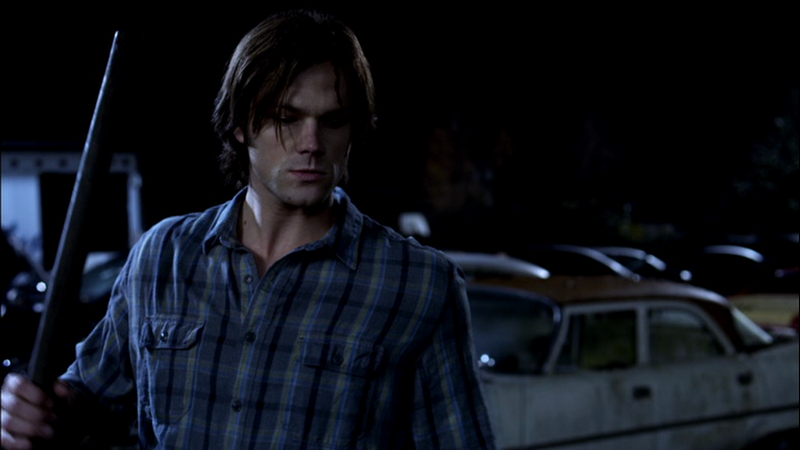 In Appointment in Samarra (6x10), Sam wears this shirt for the entire episode. 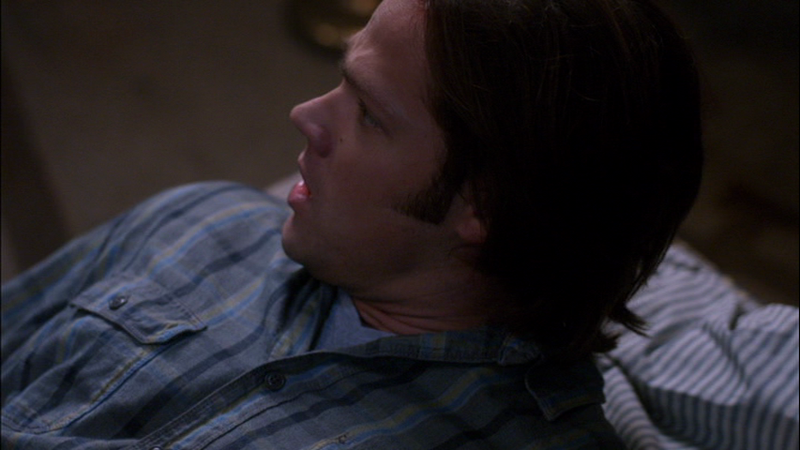 In Like A Virgin (6x11), Sam is still wearing this shirt when he wakes up after approx. 10 days of sleep. He keeps it on while Dean and Bobby feed him sandwiches. In The Girl with the Dungeons and Dragons Tattoo (7x20), Sam wears this shirt at the very end of the episode when they see Charlie off at the bus station. In Man’s Best Friend With Benefits (8x15), this might be the shirt Sam wears after Portia stops them from killing James and continuing until the end of the episode.